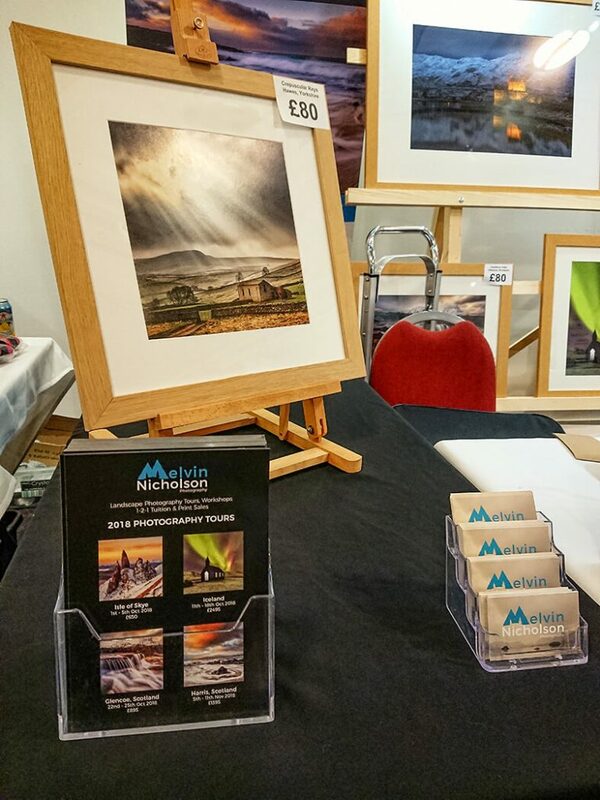 I attended this year’s The Northern Photography and Video Show 2018 at Rheged near Penrith on the 12th and 13th May 2018. I attended this event as a visitor last year vowing to return this year as an exhibitor. 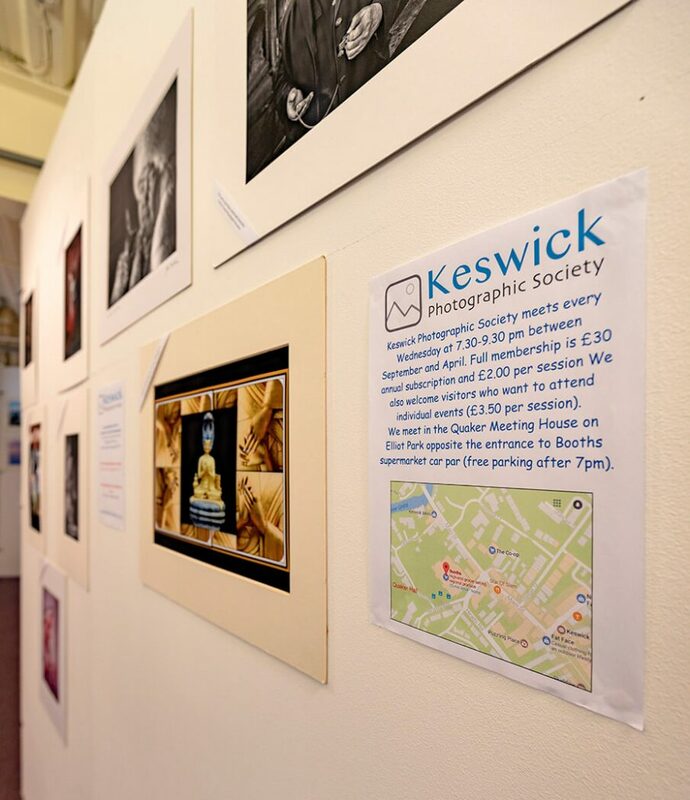 This show is in its third year and it was created by Rod Ireland Photography and Penrith Camera Club. Together they bring under one roof a range of photographic specialities including landscape and portrait photographers as well as various companies showcasing their latest cameras, fine ink and papers, photo location guide books, nine camera clubs all displaying their members images in print and to cap off a great weekend, a selection of the finest photographers in the UK presenting their FREE lectures in the main cinema complex on the ground floor. I arrived on the Friday afternoon to set up my newly built wooden print rack stand and to prepare for the busy weekend ahead. This always takes longer than expected but everything had to be just right. I arrived early the following morning and there was already a real buzz in the air. Right on cue, 10am and the doors opened to a swathe of happy visitors. Within seconds the room filled and I never stopped (talking mainly) until nearly 4pm when the show closed for the day. 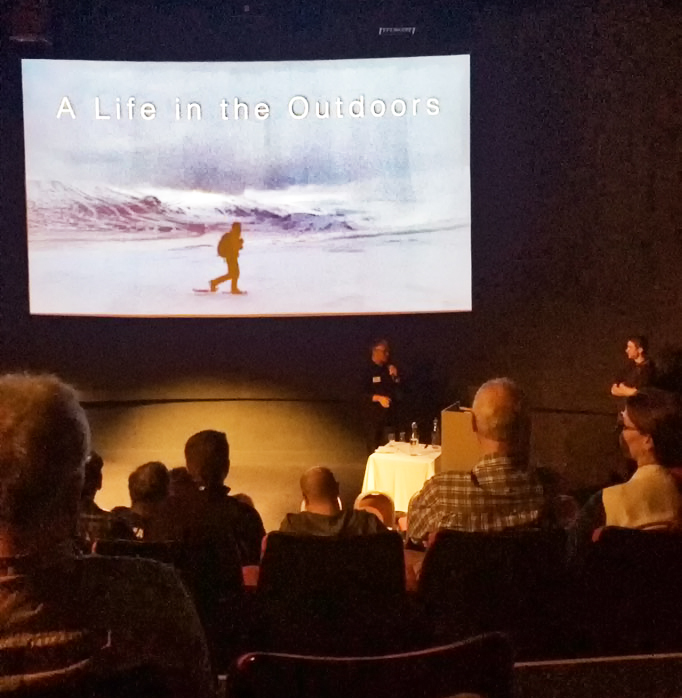 In the cinema the talks kicked off at 11.30am with the award winning outdoor filmmaker Terry Abraham starting proceedings. Terry is the filmmaker behind the iconic BBC ‘Life Of a Mountain’ series including his beautifully made ‘Life Of a Mountain – Scafell Pike‘. 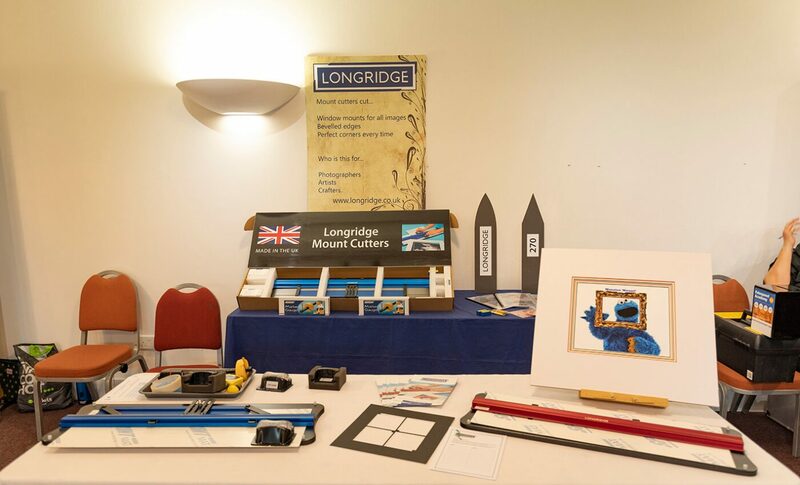 His ‘Life of a Mountain – Behind the Scenes’ talk proved very popular. 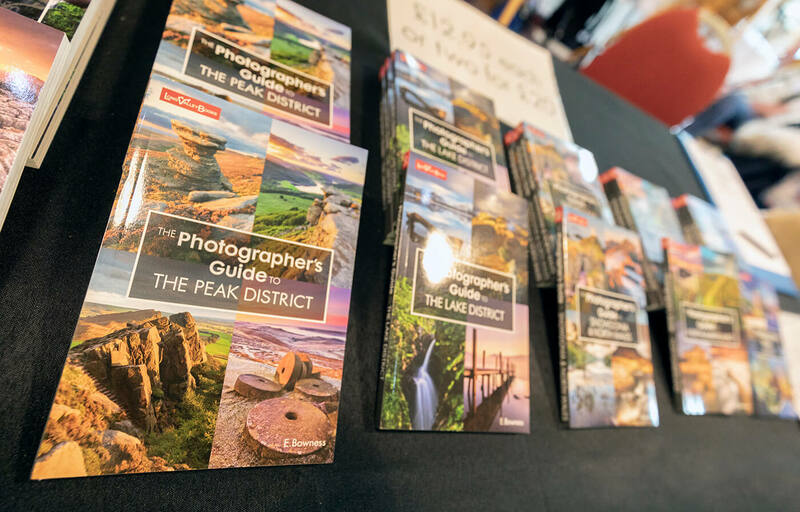 At 1pm and 3.30pm, YouTube’s most popular UK landscape photographer Thomas Heaton took to the stage to present his ‘Life In the Outdoors’ lecture with queues reportedly around the block to see him. Thomas has 250,000 subscribers on his YouTube channel and posts two videos a week (6pm Wednesday and Sundays). CLICK HERE to see Thomas’s YouTube channel. CLICK HERE to see my YouTube channel if you wish. At 2.30pm, the cinema welcomed Benjamin Graham to the stage with his talk ‘Developing Personal Vision and Visual Style’. Benjamin is the current winner of the UK’s most prestigious annual landscape photography competition, the Take-a-View Landscape Photographer of the Year. Benjamin won the £10,000 first prize and national recognition for his beautiful ‘Diminutive Dune – Sand Forms at Low Tide‘ image. I attended this year’s show for a few reasons. 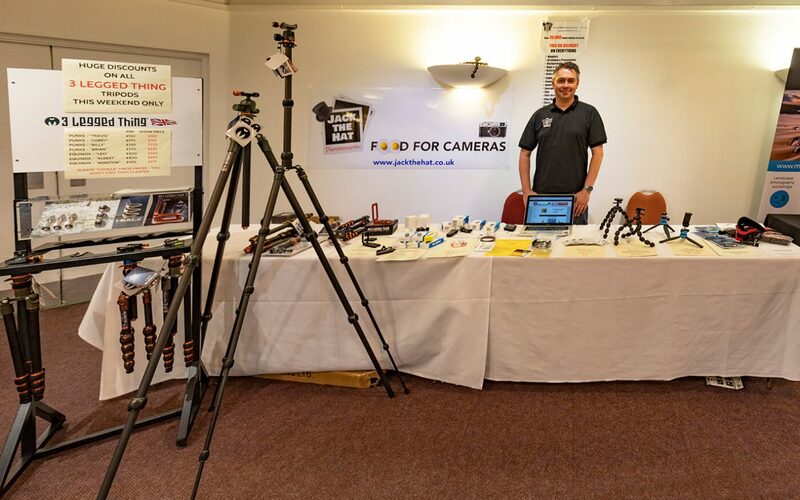 Firstly, I always try to support local initiatives where I can and the event put on must have taken both Rod Ireland and the Penrith Camera Club a lot of time to put into action so a HUGE THANKS to them both. I also wanted to showcase some brand new images as prints taken on various photography workshops and tours that I have organised and led since autumn last year. Printing is a very important part of the photography process for me and to see my work printed, framed and hung on a wall is the final piece of the jigsaw. I take an awful lot of pleasure in seeing my work printed. I print up to A2 on my Epson SC-P800 A2 printer. Any images larger than A2, I have Peter at Fulwood Gallery in Preston print them. He always does such a beautiful job on his large free-standing Epson printer not to mention the frames that he builds to house the prints. Always quality work at reasonable prices. I was also there representing both Nisi Filters and Benro tripods. 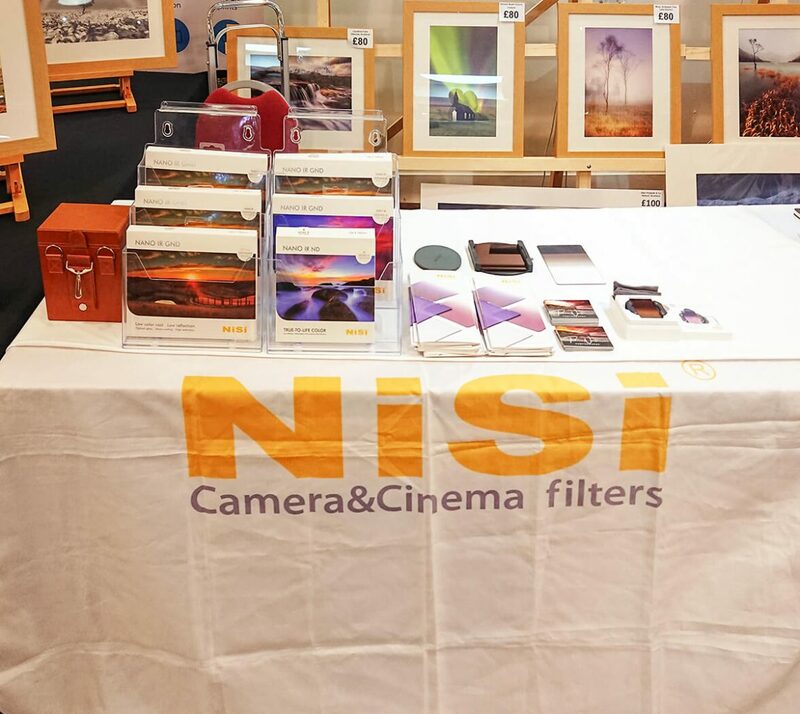 As an Official Nisi Filters Promoter, I took along a range of filters and kits for people to look, touch and feel them. Premium filters are not inexpensive so it is important that people have an opportunity to be fully involved and happy about purchasing them. Of course obtaining the right information about which filters are most relevant to them is also so, so important. 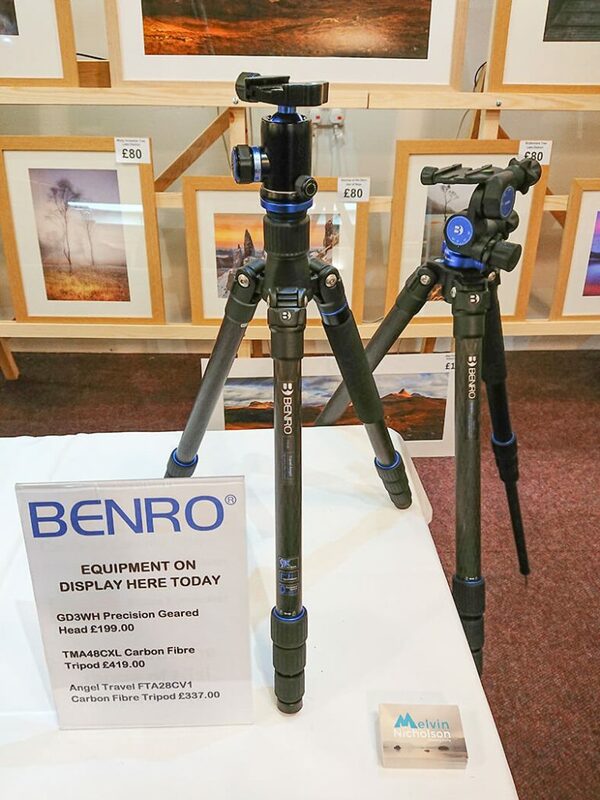 Benro UK recently sent me a couple of their gorgeous carbon fibre tripods TMA48CXL and the Angel Travel FTA28CV1 and their brand new GD3WH Geared Head to test long term. I took them along so that people would have an opportunity to fully experience the fine quality of Benro’s equipment for themselves. Everyone without exception was impressed. Sunday arrived and the day proved to be a little quieter. This gave me more time to chat to those who had made the journey specially to see me. A HUGE THANK YOU to all those that made the effort to come and pay me a visit. I was really heartened by the turn out. Friends, clients, potential clients all came to show their support and I really appreciated it too. Prints were sold, workshop bookings taken, lots of laughs, stories and general photography related banter were had. I do love my job/lifestyle. The talks in the cinema today kicked off at 11.30am with Take-a-View’s Landscape Photography of the Year 2014 Winner, Mark Littlejohn. Mark was presenting a talk about Ullswater and the Ullswater Steamers company that he works with. At 1pm, Dom Bush from Land and Sky Media took to the stage to present his ‘Short Doc 101’ talk which explained the building blocks of short documentaries. 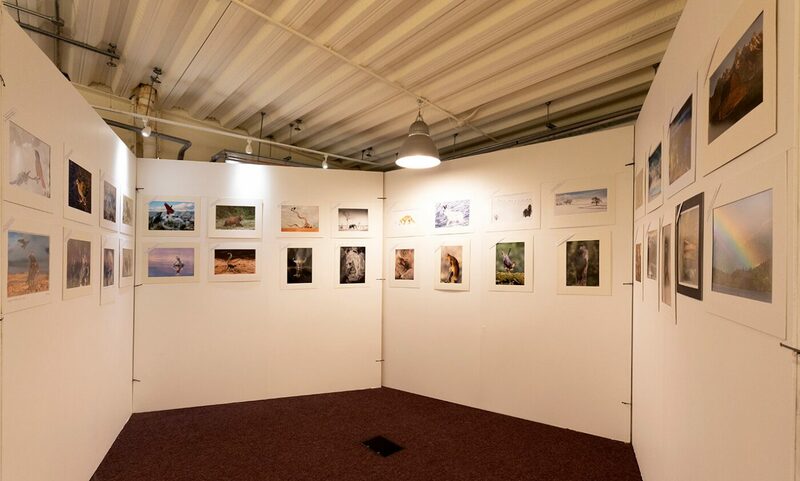 To finish at 2.30pm, leading wildlife photographers Ann and Steve Toon presented their ‘Light, Big Game – Action! Photographing On Safari‘ talk in which they showcased a range of beautiful images from their many visits to the game reserves of southern Africa. With Sunday being a little quieter than the Saturday, it gave me an opportunity to visit some of the other stands and chat with the respective traders/photographers. 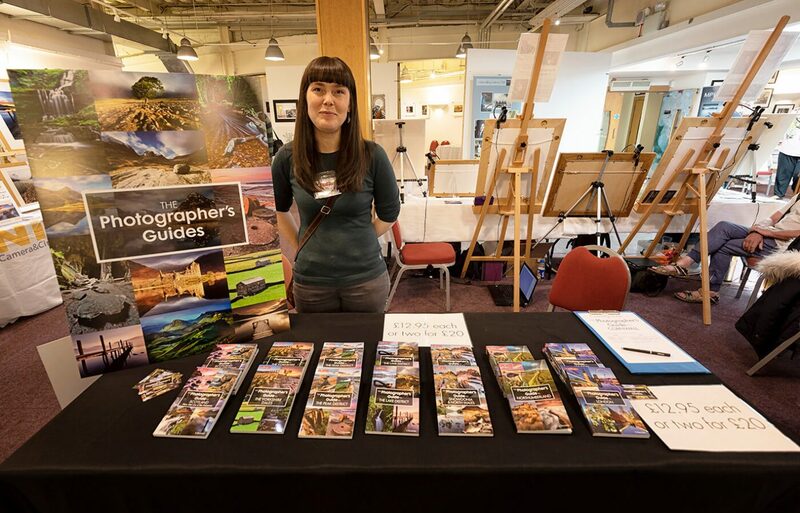 Ellen Bowness of Long Valley Books, the landscape photography pocket location guide books was positioned directly opposite me so a few conversations regarding the joys of travelling and discovering new locations for future books took place. I too travel an awful lot in the pursuit of discovering new locations for future workshops so we had something in common. 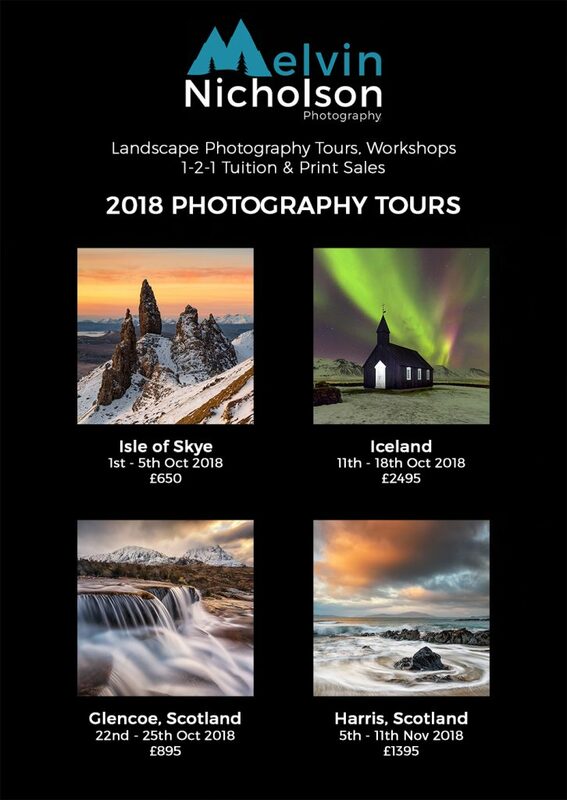 Next year I will add the Dolomites, Loften and New Zealand to my ever expanding portfolio of international tours/workshops. Iceland of course will also feature once again. Positioned to my left was the local online camera accessory retailer Jack The Hat Photographic. Both Jamie and Debs were kept busy selling lots of camera accessories, me being one of their customers with the purchase of a beautiful burnt orange 3 Legged Thing Universal L-Bracket for my Canon 5D MK4 DSLR. 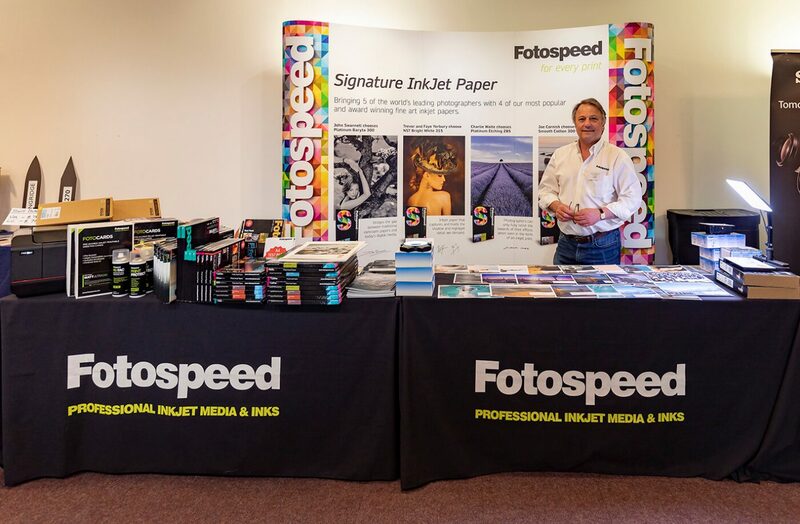 It was also a real pleasure to see John the owner of Fotospeed inks and fine art papers on show too (I use Fotospeed paper and am proud to be associated with them). I picked up a couple of boxes of paper for future printing including their gorgeous Platinum Baryta 300 Signature Paper and a new paper for me, their brand new Platinum Gloss Art Fibre 300. I shall look forward to using it shortly (if you are interested in purchasing a print from me, please visit my website GALLERY. 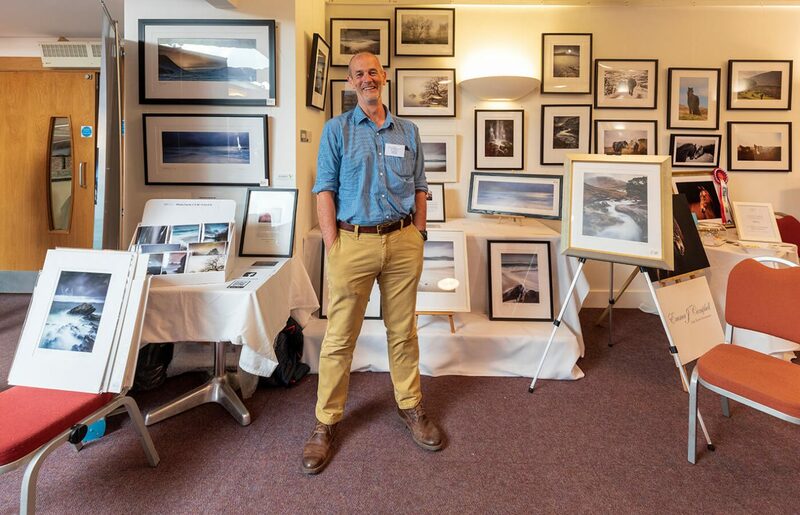 Local landscape photographer Mike Prince was present yet again with his beautifully muted and subtle prints of scenes captured in atmospheric conditions. Nobody does them better than Mike. 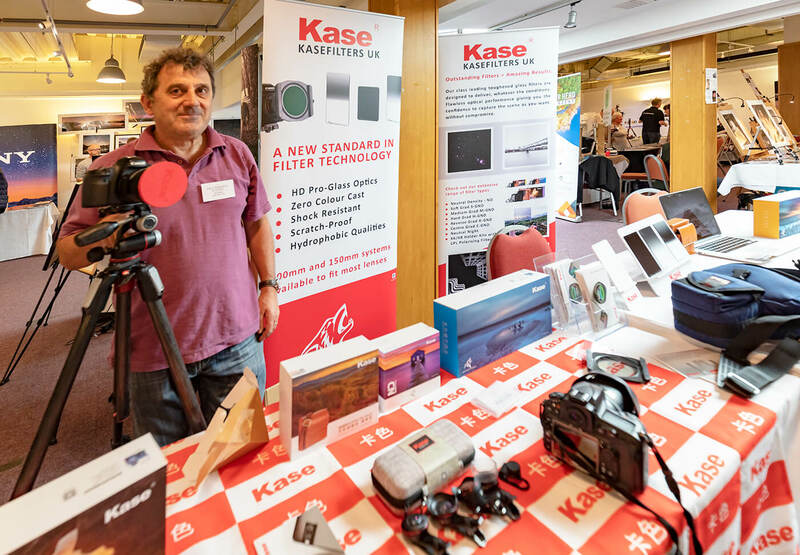 Kase Filters were also on hand to demonstrate their range of camera filters. 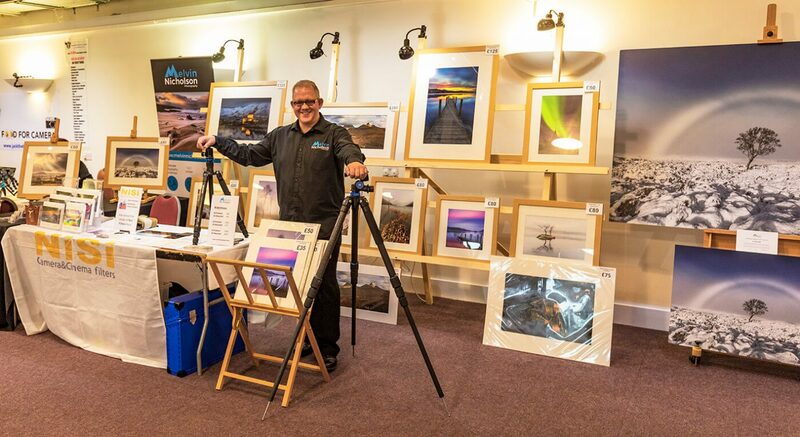 Local landscape photographer Phil Buckle was willing and able to discuss the full range. 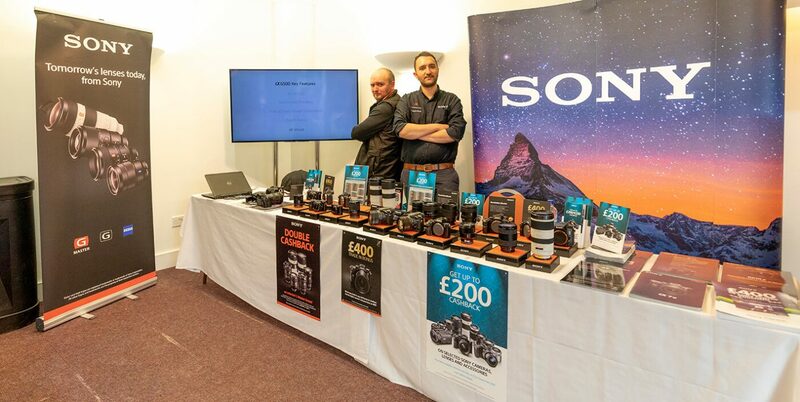 It was lovely to have Sony cameras represented by the Sony Centre in Carlisle. Sam headed up the stand to demonstrate the full range including Sony’s latest £4,300 full frame mirrorless camera, the A9. 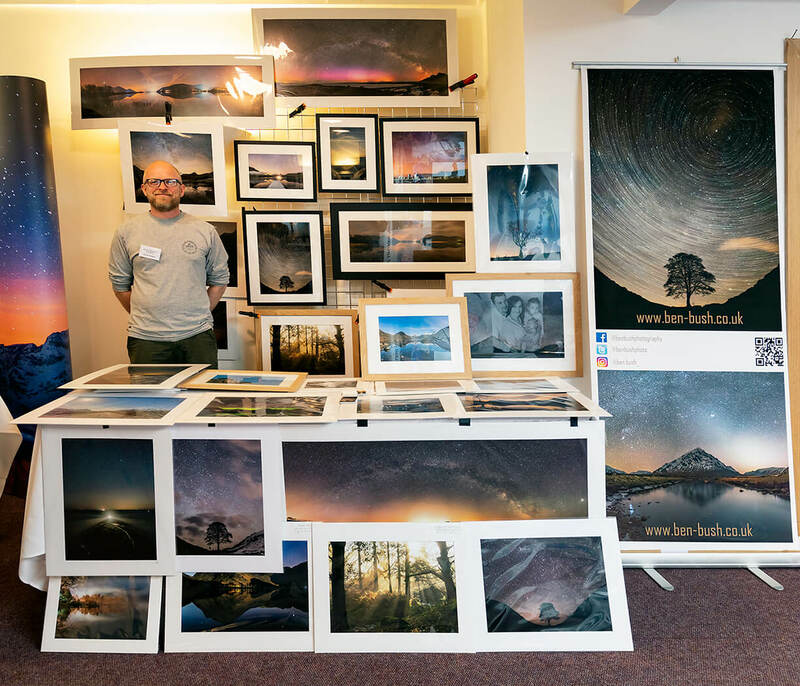 It was a real pleasure to finally catch up with local landscape and astro photographer Ben Bush whose range of fine astro prints will leave you wanting to make a bolt for the door once the sun has set with a flask of coffee in hand and a warm jacket (not to mention your camera of course). 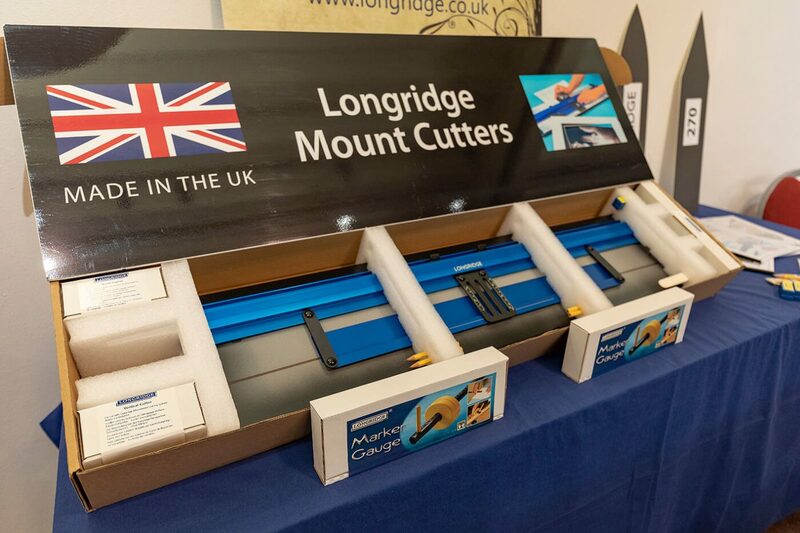 Longridge Mount Cutters were also displaying their range of mount board cutters and as someone who prints and cuts my own mounts, a cutting board is essential in having lovely cut and presented bevelled edged mounts. They really do set off the print beautifully in the frame. Speaking of prints, I had a wander around the various displayed prints from the nine local camera clubs that had their members work on show. There was some beautiful images featured and I always enjoy looking at the work of others. So 4pm came as quickly as 10am did the day before and before I knew it, the show had closed its doors for another year. I genuinely enjoyed my experience in attending the show and it was wonderful to have met so many people who either follow me on my various social media platforms and just to chat to people in general about all sorts. Connecting with people is what my job/life is all about and what better way to do that in the confines of a wonderful building such as Rheged and with such a great atmosphere. I hope to be back next year. For the full list of exhibitors and camera clubs who attended, please see below. 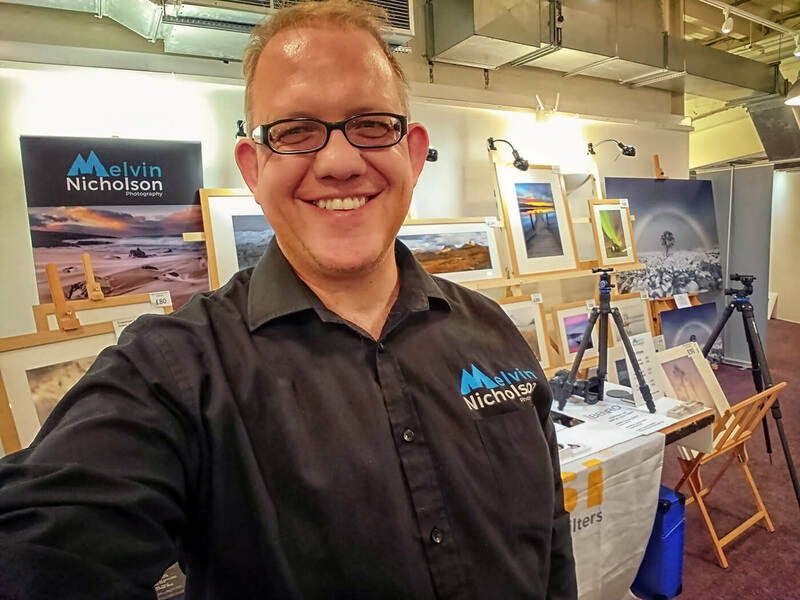 Great to see you surrounded by your lovely prints Melvin. You don’t just talk the talk but deliver on quality too in a wide range of locations. Glad your burgeoning list of workshops is looking even more exotic. It won’t be long before you see the Wilkster again. How lovely it was to see you both stood there, more so because you had stopped off specially to see me en-route from Scotland to somerset. I was very impressed. It’s such a genuine joy to share my work in prints with you and everyone else who came to see me. 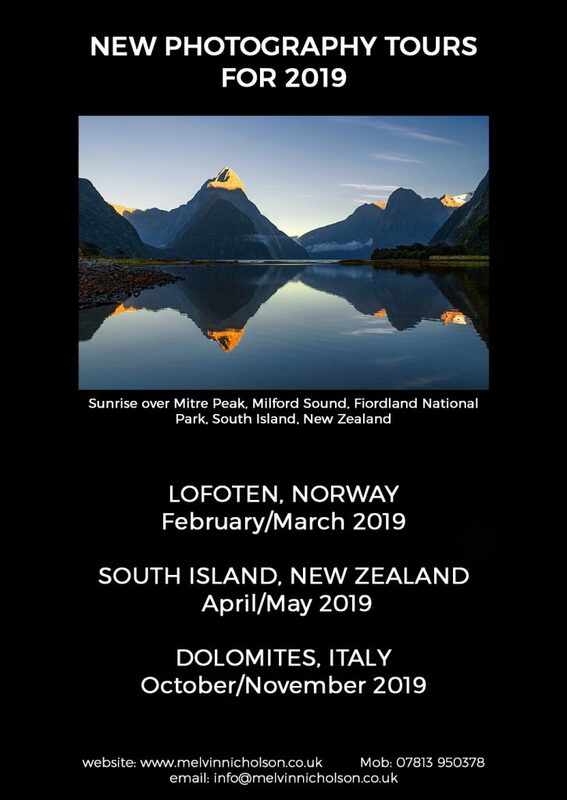 As for my ever expanding list of international workshops for 2019, I cannot wait to visit the Dolomites, Lofoten and of course, the biggest trip of them all, South Island, New Zealand. I hope to see you both soon. Keep smiling guys. Always enjoy your well crafted pieces describing the lastest adventures taken. I hope to join one of the many trips that are planned this year. Thank you very much indeed. Pleasure is all mine, perhaps less so the carpool karaokes I sing but nonetheless, the trips will continue to flow. I’m thinking of heading off someone where for a week shortly. More details to come soon.